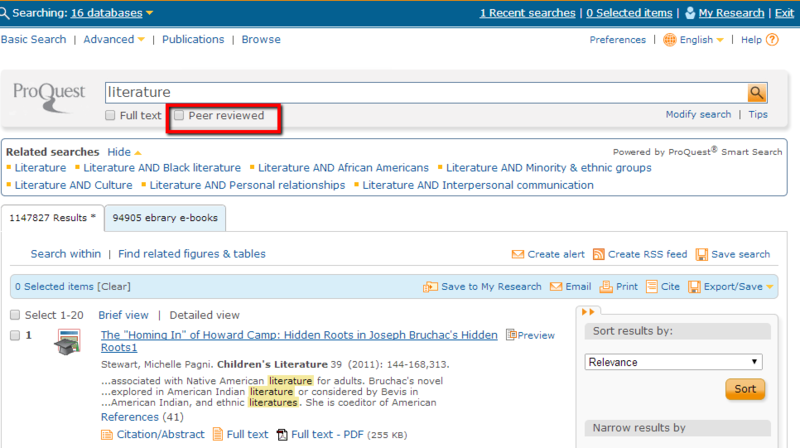 Most of the library databases have an option to limit search results to show only peer reviewed articles. Below you will find some examples of where the results can be filtered for peer reviewed results. Unfortunately JSTOR does not have a simple way to filter your results. 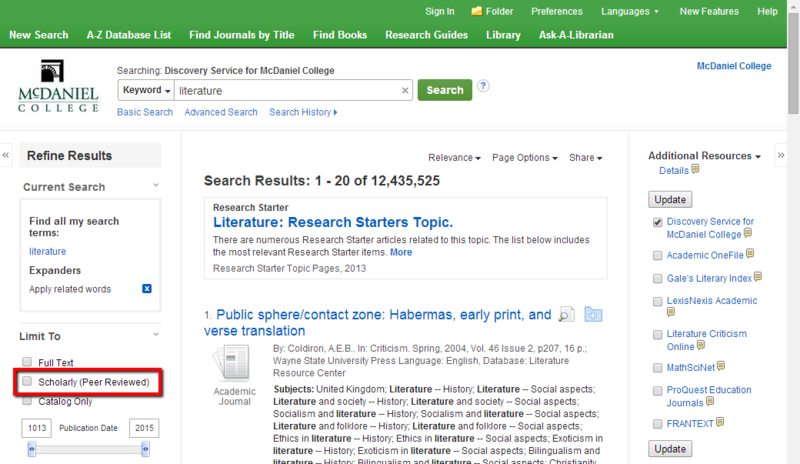 If you have citation and want to know if it is peer reviewed one of the easiest ways to check is to use our "Find Journal by Title" link to search for the journal. The results list will show if the journal is peer-reviewed or not.